This book is like a fairy tale, kind of: everything turns out right in the end. Mostly. 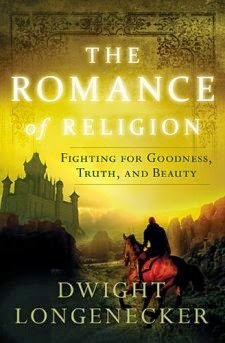 It’s an apt description, for this book attempts to describe the real life fairy tale that we are all living: The Romance of Religion: fighting for goodness, truth, and beauty. Even if fairy tales aren’t your cup of tea, everyone wants goodness, truth, and beauty — so is it worth fighting for? Does this book even offer a path to finding those things? Don’t get me wrong. I am all for a book that promotes truth, goodness, beauty. But the framework for this must be a book that is pointing one hundred percent towards God, for he is the source of all of this. Longenecker, in his rush to make the book palatable to leery non-Christians, completely leaves out God from the first half of his book. While it’s true that someone reading the first half of the book may not find anything to offend them, they very likely won’t find much to excite them either. All of Longenecker’s lofty words about literature and stories fall flat without their blazing center. By the second half, he at last gets to the point — to the source of this love that he has been describing. He describes the fiery red plume in our cap that is as precious to us as Cyrano’s panache (Cyrano is a recurring example in the book): the love of God, who has opened a way for us to live life to the fullest. But his delay that makes the entire first half feel like a lengthy introduction. How much stronger the book would have been had the main theme been included from the beginning! As a result, the book feels lopsided. Once he does get to the punchline, Longenecker doesn’t do it justice. This is because he attempted to break everything down into different sections. But the punchline — the good news of Jesus Christ — is meant to be woven all through everything. Instead, we get a little bit about how through Christ’s death we are enabled to live life more fully, and how it is a continuing process that burns up the ‘garbage’ in our life. Longenecker continues to dance around hard-hitting words of conviction. While I may understand the meaning behind his words (and let me tell you, I’m all for the meaning behind his words), the way he expresses himself seems that it would be unclear to precisely the people he is trying to reach with his message. That would likely be my conclusion for the entire book. Longenecker has a fantastic message in his hands. It’s the same message I’ve devoted my life to spreading, and I want as many people to hear it. And Longenecker doesn’t really do a terrible job of it — he just misses the mark in enough ways that the burning, passionate, beauty of real life is not properly described in the book. It’s poorly organized, and while the thoughts are clear enough to those who know the answer from the beginning, someone who is looking for the answer will probably miss the forest for the trees in The Romance of Religion. It’s a shame, really. There’s so much potential in a book like this, that uses the vehicle of literature to explain the story that this world is caught up in — the story that God is telling through his creation. And Longenecker has some bright spots in the book. I especially liked his description of faith and why many people are afraid to believe in something as fantastic as the resurrection of Jesus. It was a struggle to choose whether or not to recommend this book. But as a whole, The Romance of Religion does not do full justice to the beliefs its author professes. This is, however, entirely a fault with the book, and not the message it is trying to convey. I stand right beside Dwight Longenecker in his quest to spread this message to as many people as he can. If only The Romance of Religion were a better vehicle for this quest. 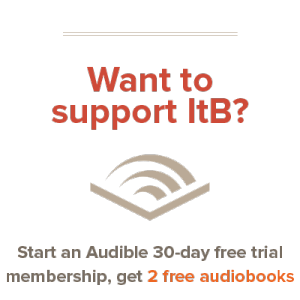 Buy The Romance of Religion on Amazon and Support ItB!